The purpose of cosmetic muscle relaxant injections is to give a natural-looking refreshed appearance, with a reduction in lines and wrinkles. Injectables are safe. The original brand of anti-wrinkle injections has been used for medical conditions like muscular sclerosis for over 60 years. Doctors then noticed its value in treating patients with overactive muscles, and as such it was found to be very successful in treating children with cerebral palsy and lines and wrinkles in adults. At Skin Alert we use high quality, clinically proven muscle relaxants. It generally takes 3 to 10 days after treatment for the maximum results to fully develop. Re-treatment should not occur within this period. 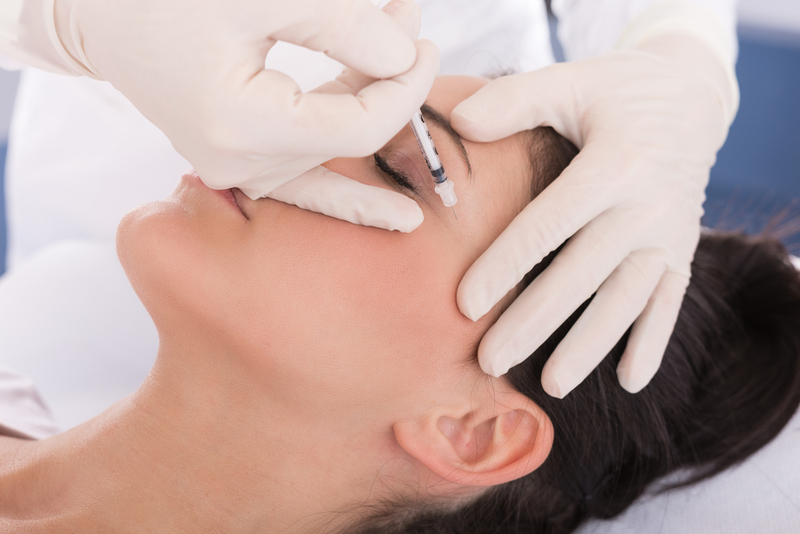 We also provide an anti-wrinkle injection that kicks in as quickly as 2 days. The effects generally last 3 to 4 months, although with regular treatments it may be possible to reduce the dosage. The treatment may be less effective for people over 60 due to poorer muscle tone. Where can muscle relaxants be used? The most common areas treated for wrinkle reduction are crow’s feet (lines around the outer eyes), glabella (between the eyes) and the forehead. Other areas including ‘bunny lines’ (lines on the nose), jaw-line, chin and neck can also be treated. Muscle relaxants can even be used to treat excessive sweating and jaw grinding. Anti-wrinkle injections work by interfering with the nerve signal to the muscle and is fully degraded by the body after 3-4 months. The advantage of being a temporary relaxant ensures that permanent side effects are extremely rare, and, allows for the treatment to be tailored to the patient as they age naturally. At Skin Alert Cairns the aim of injectables is to give a natural looking result to help patients look refreshed for their age. We want people telling you how great you look, not asking what you’ve had done. Maintenance treatments with our anti-wrinkle injections will also assist in preventing future lines emerging. The treatment involves a few tiny injections using a very fine needle which some describe as feeling like a small pin-prick or sting. Only the very tip of the needle actually penetrates the skin so it’s not like having a vaccine or other injection where the needle goes deeper into the body. An ice-stick is used to increase patient comfort. Please book a consultation if you wish to further discuss anything regarding our cosmetic injectables.